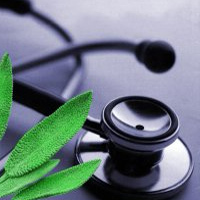 Naturopathic Doctors are highly educated primary care providers who integrate standard medical diagnostics with a broad range of natural therapies. This dynamic field often attempts to address healthcare issues through a different approach though with the same ultimate aim of providing patients with the tools to improve their quality of life. This week on Health Justice Radio we have a very special guest here to talk to us about her own personal journey in the field of naturopathic medicine. A recent graduate of McMaster University in 2010, and currently attending the Canadian College of Naturopathic Medicine, our guest has a unique perspective on the field of naturopathic medicine informed by her experiences within and outside of school. This week on Health Justice Radio, we are honoured to have Anne Hussain here to tell us about her personal journey in the field of naturopathic medicine, and her perspective on the many hot button issues surrounding the field at the moment. She recognizes the critical importance of naturopathic medicine as a facet of healthcare delivery and could help shed some light into the challenges that await training traditional doctors as they step into the workforce and attempt to work in conjunction with naturopathic doctors to improve health care outcomes. This entry was posted in Uncategorized and tagged Naturopathy. Bookmark the permalink.